Proper denture care is important for both the health of your dentures and mouth. Here are some tips. Stand over a folded towel or a full sink of water to help avoid damaging your dentures if dropped. Use hand soap or mild dishwashing liquid to clean your dentures. Toothpastes and household cleansers are too rough on dentures. Do not use bleach to clean your denture. It can whiten the pink portion of the denture. When not worn, dentures should be placed in water. This keeps them moist, which helps keep them from losing their shape. Your dentist can recommend the best methods for caring for your particular denture. Dentures should never be placed in hot water, as it can cause them to warp. Never attempt to repair or adjust or your dentures yourself. Bending any part of the clasp or metal attachments can weaken the metal. Don’t buy over-the-counter repair kits or glues either. These can cause permanent damage to your dentures and glues may not be safe. Wait. You will be seen by your dentist or prosthodontist;(a dentist who specializes in the restoration and replacement of teeth) soon after receiving your dentures. If you think you need to be seen before your scheduled appointment, call your dentist. What if I feel that my dentures aren’t fitting right? Dentures That don’t fit properly can cause irritation and sores in your mouth or on your gums. Call your dentist immediately if your denture breaks, cracks, chips or if one of the teeth becomes loose. Because of the wear-and-tear on denture over time plus natural age-related changes to your face, mouth, jaw bones and gums, your denture will need to be relined, rebased or remade. Any of these types of fixes will also need to be made if dentures become loose. To reline or rebase a denture, the dentist or prosthodontist ;refits the denture base or makes a new denture base and reuses the existing teeth. Generally, complete dentures can be worn for 5 to 7 years before replacing them. If I properly clean my dentures, what else should I do to maintain excellent oral hygiene? Whether you have full or partial dentures, you should use a soft-bristled brush and brush your gums, tongue and palate (roof of your mouth) every morning before you put in your dentures. This removes plaque and stimulates circulation in the mouth. Be sure to clean the teeth that fit under the partial denture’s metal clasps. Plaque that becomes trapped under the clasps will increase the risk of tooth decay. 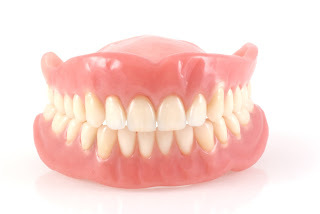 If you wear a partial denture, remove it before you brush your natural teeth. Clean, rest, and massage the gums regularly. Rinsing your mouth daily with lukewarm salt water will help clean your gums. Never sleep with your dentures in place. Eat a balanced diet so to help keep your body healthy, which will help keep your mouth healthy too. Every 6 months is the standard routine unless otherwise told by your dentist. Regular dental visits are important so that your denture and mouth can be examined for proper denture fit, to look for signs of oral diseases including cancer, and to have your teeth professionally cleaned. ya i got an impressive idea from your blog it is really well and good and i got more informative things about dental facts. Thanks for sharing this information and it is a great blog of dental implants with Highly accurate information content. Best Dentist Near Bayview Sheppard. At Bayview Sheppard Dentistry you will feel comfortable with our specialist. We provide the best dentist near Bayview Sheppard. Visit http://www.bayviewshepparddentistry.com/ for more details.